It’s been forever and a day since I last did kitsuke. Being a new Momma is HARD WORK! Trying to find time to do things for myself at the moment is almost impossible. 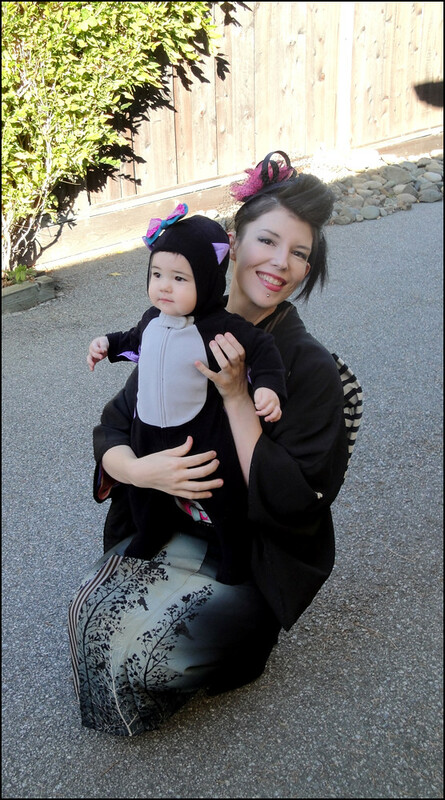 Also, I breastfeed, so while I should learn how to breastfeed in kimono – I don’t want to risk leaking all over my vintage silks. So understandably, I’ve taken a bit of a hiatus for a while. Anyhow, Lily’s reached the point where we can go a significant time between meals, which means I can start thinking about kitsuke again. 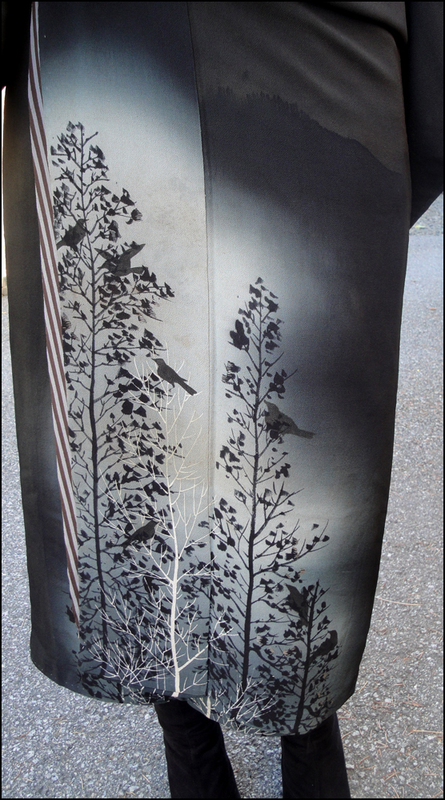 Quite some time ago I obtained this amazing early Taisho era crow kurotomesode. While it has significant patina and some water damage, the motif was too charming to pass up. 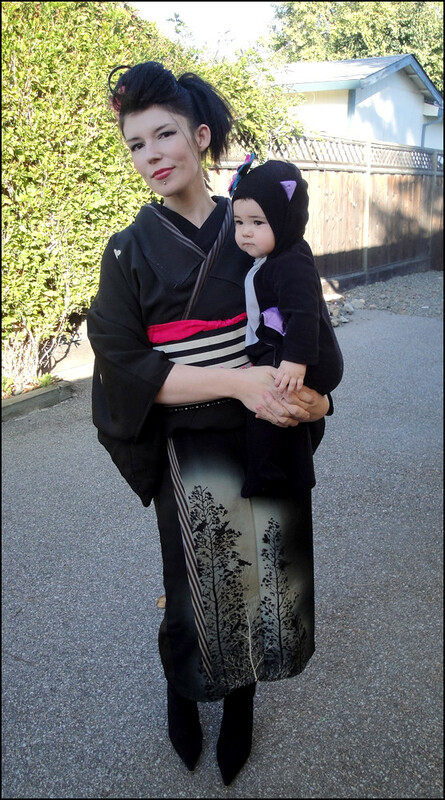 One of the members on the Immortal Geisha forums, Ume Bloom suggested I wear it for Halloween, so I figured, why not? The pink obiage and obijime are actually the same colour – but they photograph completely different! Weird! Lily was dressed as a bat! Baby Bat! 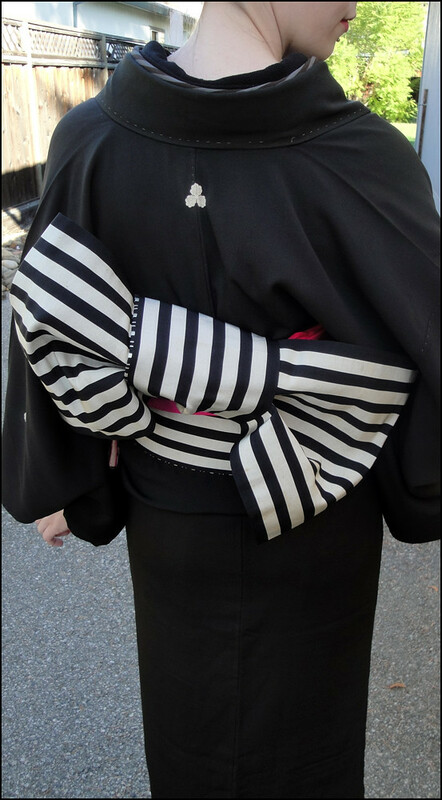 This obi is a black and silver/white reversible hakata/stripe obi. I cannot express how much I love it. 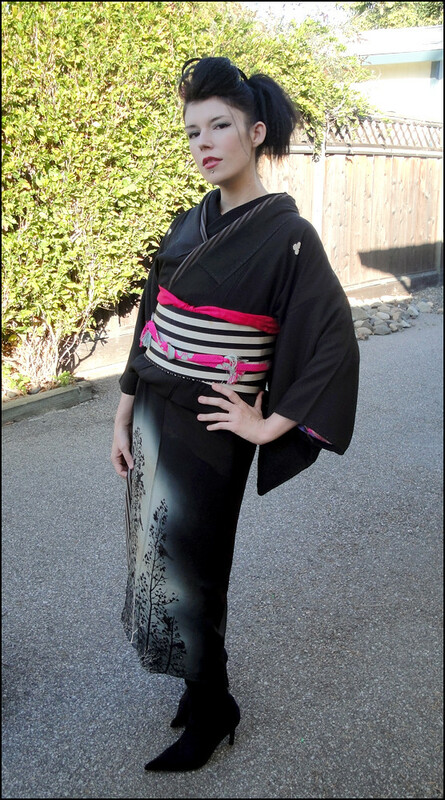 This kimono was re-lined at some point with plain white silk, and the sleeves shortened. Thankfully when they were shortened, they just tucked the excess fabric up – so I’m going to restore them to their original length eventually. Additionally, the patina does not detract at all from the gorgeous design! I’m absolutely thrilled that my gull dounuki colours match this kurotomesode perfectly! My poor dounuki has been sitting in my tansu for years waiting for just the right ensemble. 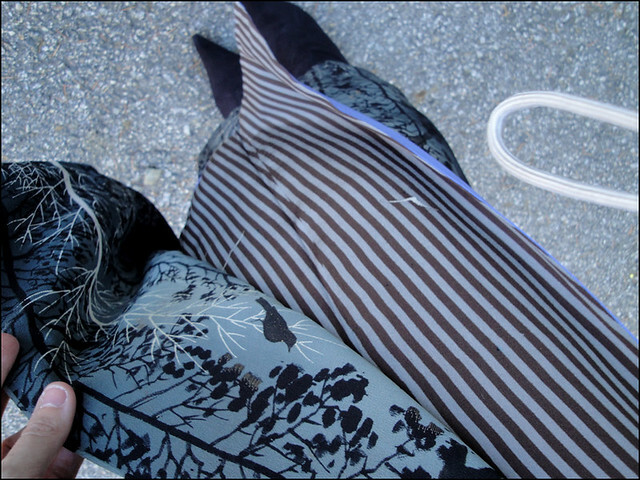 Now, I get to wear an ensemble with two scary bird types! Gulls and crows! I’m extremely pleased with how well this outfit turned out. I had been thinking about it for months, and in my head – it worked, but often with kitsuke, something you visualize in your head may not work well in practice. Thankfully, that wasn’t the case with this! Lily's San Francisco Cherry Blossom Debut! 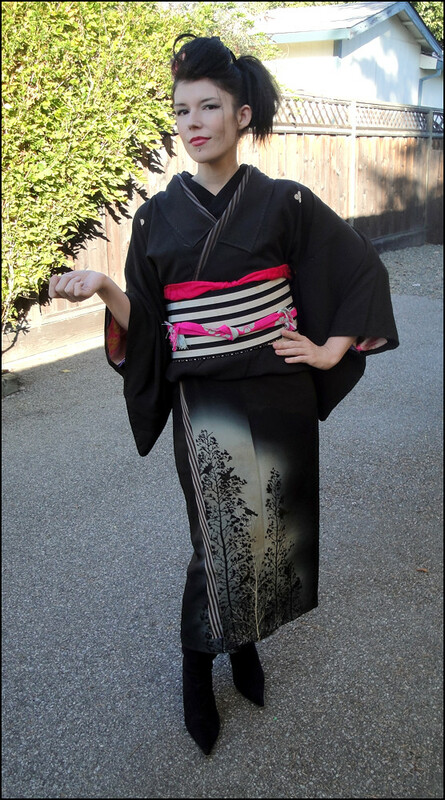 Guess who wore kimono, and who didn't?